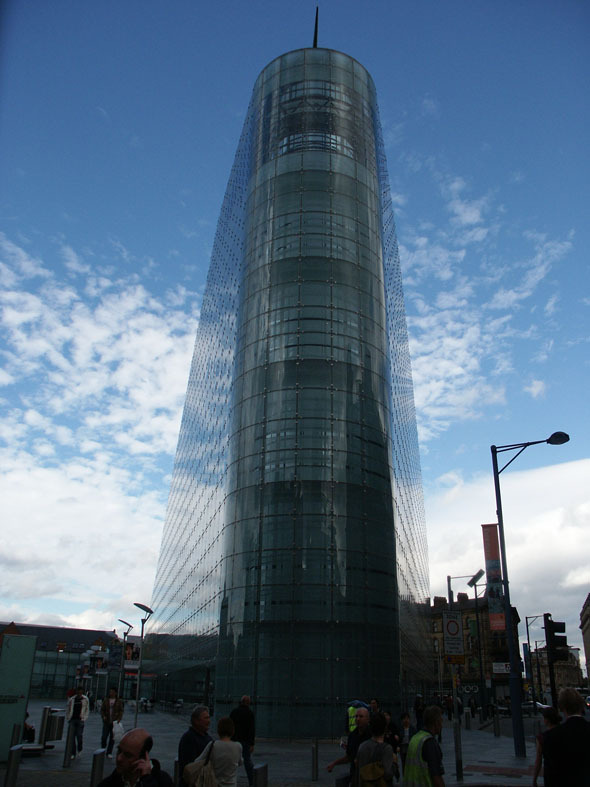 Designed by the local firm Ian Simpson Architects and built in 2002, Urbis is located at the heart of Manchester’s redeveloped Millennium Quarter. Replacing a carpark in an area devastated by the 1996 IRA bomb, it is now one of Manchester’s most recognised buildings. Manchester City Council held an international competition to design a building for the site. 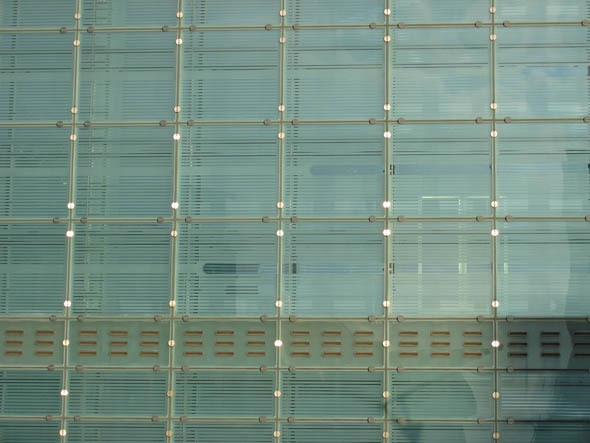 Immediately eye-catching is the unique glass façade which consists of over 2,000 panes of glass. The roof is made of pre-aged copper tiling. The shape of the building intends to reflect the historic surroundings. The South end tapers in width but rises to 35 m, to meet the busy intersection of Corporation Street and Withy Grove. The curved front reflects other buildings at this intersection, including the Corn Exchange and the Printworks. The angled spire at the top reaches 42m and directs the eye to Manchester city centre.